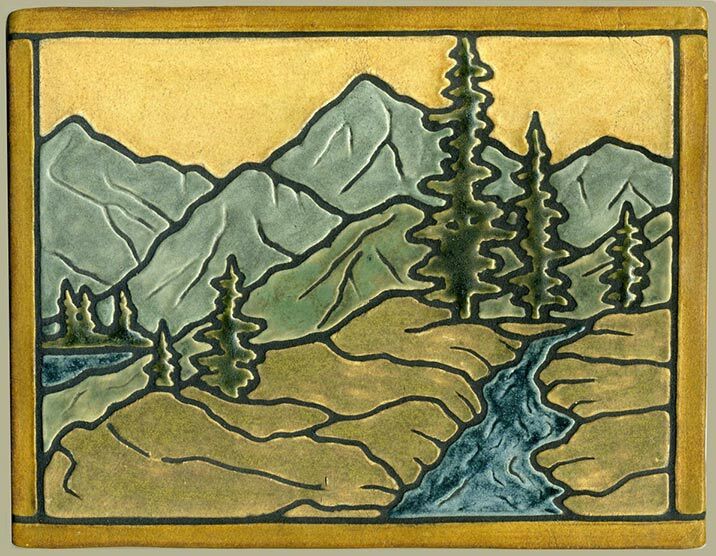 Solitude is a single large tile measuring approximately 9 1/2" wide by 7 1/2" high. This Arts & Crafts style design has a flat surface except for black lines between glaze colors that define the shapes and enhance the mosaic effect. We can create a customized Solitude tile in colors of your choice. 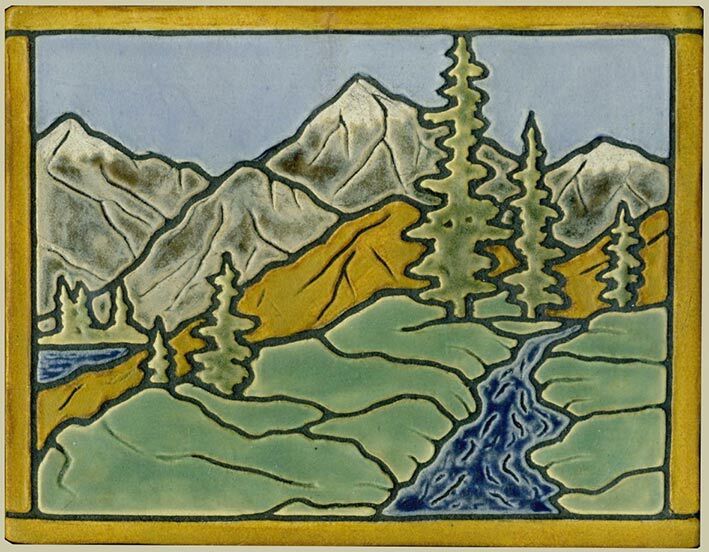 Colors shown: pharsalia sky with bronze green foreground and gray mountains; blue-violet sky with gray-green foreground and field mouse brown mountains.